Thus far the slow drip of Turkish leaks have proven accurate, and Hurriyet columnist Abdulkadir Selvi broke the news of the first recording that captured Khashoggi's death inside the Istanbul consulate, which proved accurate according to reports. Selvi wrote on Thursday, "There is talk of another recording" which involves a CIA eavesdrop of a call between MbS and his brother Khaled bin Salman, Saudi Arabia’s ambassador to the U.S. The crown prince gave an instruction to silence Jamal Khashoggi as soon as possible and this instruction was captured during [a] CIA wiretapping. Selvi also reported that during her trip to Ankara last month, CIA Director Gina Haspel "signaled" the existence of the tape. "It is being said that CIA chief Gina Haspel indicated this during her visit to Turkey," Selvi wrote. 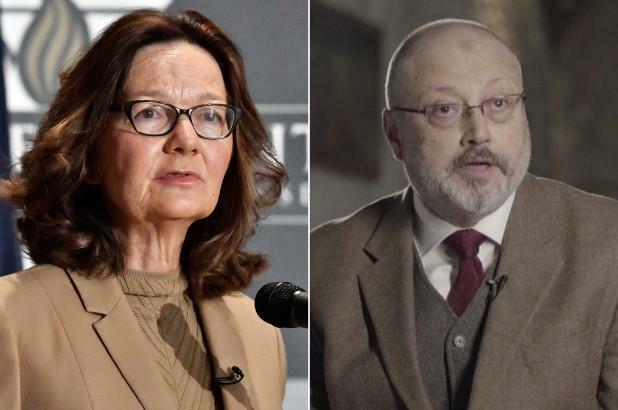 The revelation, though not confirmed, came a day after Turkish news site Haberturk published what it said were quotes from a tape of Khashoggi's last moments as he was apprehended the moment he stepped inside the consulate. "Release my arm! What do you think you are doing?" Khashoggi was reported to have said upon entering the visa department of the consulate building, and where the seven minutes of the tape are recorded. "Traitor! You will be brought to account," one among the assassination team is captured in the audio as staying, according to Haberturk. The rest of the audio includes what the Turkish news site describes as "verbal fighting, brawling and torture." Last weekend it was revealed by the Washington Post that a confidential CIA report pointed directly to crown prince MbS ordering the hit. Trump received the full report on Tuesday, after which he issued a written statement praising Saudi Arabia and underscoring that the US close relationship, vital to the economy, is with the kingdom and no one ruler. But Turkey's President Erdogan is unlikely to let MbS off that easy given the tortuously slow, and mostly accurate, leaks that have dripped out of Turkish state media so far. Likely the public is only days or weeks away from hearing the no doubt shocking audio of Khashoggi's killing for themselves, as Turkish sources have signaled more major evidence is coming.